Founder & Chairperson of CKRSD is a versatile personality having vast experience and knowledge in the field of Management & Business Consulting, Entrepreneurship and Law. He is a MBA in Marketing and Entrepreneurship from Southern Cross University, Australia, done his L.LB. from Gauhati University, Assam and has a P.G (D) in International Law from Indian Academy of International Law & Diplomacy, New Delhi. He started his career as a consultant in the Strategic Consulting division in one of India’s leading Management Consulting firm based in New Delhi. He shifted base to Assam and managed a successful consulting practice looking after sourcing of assignments and execution of consultancy projects for a variety of clients. Currently he is practicing as an Advocate appearing in Civil, Criminal and Constitutional matter(s) in the Gauhati High Court, with special interest in issues related to Indigenous People, Human Rights and Environment. A voracious reader and writer, whose write-ups and articles have been published in various newspapers and magazines. He also acts as an Adviser to various social organizations, trade bodies, etc. He is a keen observer of the issues of Koch Rajbanshis(Rajbongshi) in Assam and is the key person who by using the Right to Information (RTI) Act, painstakingly collected information and built a case, enabling CKRSD to file the Writ Petition in the Gauhati High Court in regard to the scheduling of the Koch-Rajbongshi community in the S.T (Scheduled Tribe) lists of Assam. Click here to read the complete profile of the Chairperson. A post Graduate in Economics from University of Pune, Das has years of experience working in the field of research, media and communication, conflicts and activism. He started his early carrier as a cine journalist and has written hundreds of articles on various aspects of films for Assamese dallies and magazines. His book ‘Asomiya Chabir Hazarta Samachyar Eta’ is considered as a serious work on cinema in Assamese. He has also worked in the electronic media and cinema for a while. He has co-written the popular Assamese film ‘Soru Bowari’ and worked in many television productions. 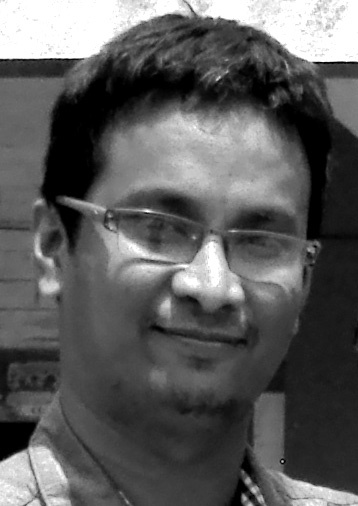 He is the writer of critically acclaimed Telefilm ‘Axar Pratyush’. He is a dedicated researcher on the issues of Koch Rajbanshi and considered as a Koch Rajbanshi expert. He has received various fellowships to work on the Koch Rajbanshis and has presented research papers/delivered talk at Centre for Policy research, Dibrugarh University, Centre for Archaeological Studies and Training and many more. His book ‘Kamatapur and the Koch Rajbanshi Imagination’ is an internationally acclaimed work. In 2011, Das took the initiative to build partnership between CKRSD and ‘International Institute of Social History’ of the Netherlands to archive the social history of the Koch Rajbanshis of South Asia and to create the Koch Rajbanshi archive at CKRSD. Das has worked in international organization like Panos South Asia as Regional Manager and has provided consultancy to organizations like actionaid, Oxfam etc. Presently he is columnist and the correspondence of International Institute of Social History for Northeast India. Das has been invited by institutes like TISS, IGNOU and various NGOs to deliver talk on crucial issues.